If you want to fit larger/wider tires than stock, or wheels with a different offset than stock, we can help with rolling fenders. 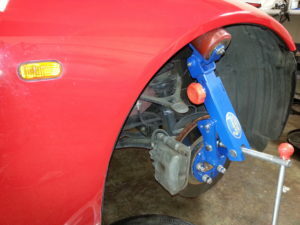 This is most commonly done on race vehicles with a significantly wider tire or lower numerical offset wheel than stock. 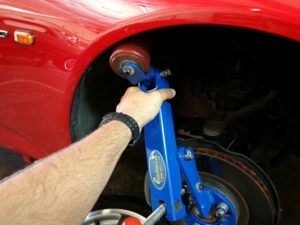 Depending on your setup, this service may be needed to prevent rubbing or fender liner damage. 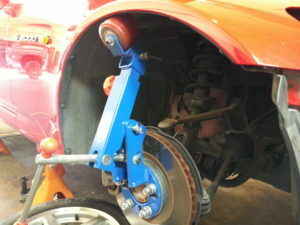 We are very experienced in doing this with a wide variety of vehicles, and can also help select a tire size, wheel offset, or lowering/alignment combination that can potentially eliminate the need for this. Not all vehicles will need this, and some will need a varying degree of work to insure proper wheel/tire fitment without rubbing. Unless the vehicle or panel is on its way to paint, we will use a heat gun to reduce the chance of the paint cracking or chipping. While it is impossible to guarantee results, we have virtually eliminated this on the vehicles we roll. We also can help with sourcing replacement fender liners and stay stocked with a variety of OEM clips to secure them with.